Three premieres, three different cities on two different continents. Not bad for a day’s work! The day started before 7am in London with the first premiere of the day, then moving across the Channel to Paris and then across the Atlantic to finish the day in New York. Not only that, we see three changes along the way. The main thing that comes across in the highlight packages is how much fun Tom and Emily are having in each city. They don’t seem to tire even after a full day of meeting fans and talking to the press. Apart from the London weather, they all see to be having fun. From a rainy morning in London, via a beautiful sunny day in Paris to a wonderful night in New York. The cast managed to succeed in their mission. With time to spare as well! 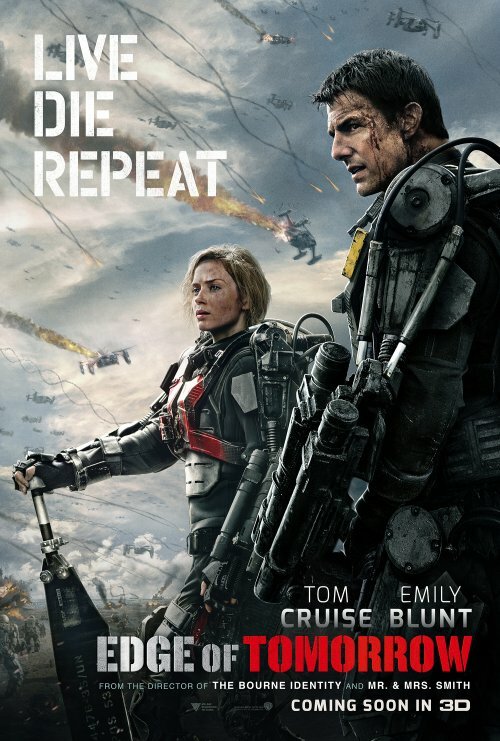 The epic action of “Edge of Tomorrow” unfolds in a near future in which an alien race has hit the Earth in an unrelenting assault, unbeatable by any military unit in the world. Major William Cage is an officer who has never seen a day of combat when he is unceremoniously dropped into what amounts to a suicide mission. Killed within minutes, Cage now finds himself inexplicably thrown into a time loop—forcing him to live out the same brutal combat over and over, fighting and dying again… and again. But with each battle, Cage becomes able to engage the adversaries with increasing skill, alongside Special Forces warrior Rita Vrataski. And, as Cage and Rita take the fight to the aliens, each repeated encounter gets them one step closer to defeating the enemy.